The website of the Larkhill Choral Society. 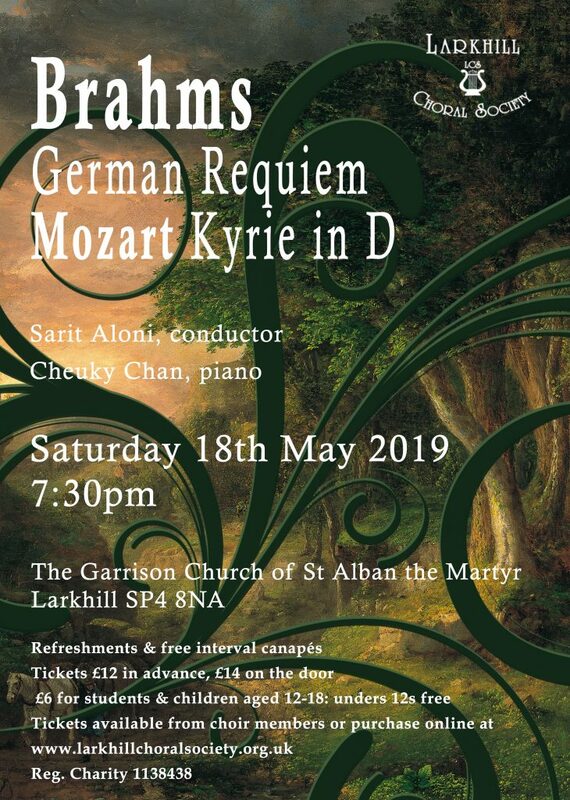 The Larkhill Choral Society presents Brahms German Requiem. The concert will include pieces by Brahms, Mozart (Kyrie in D) and others. With the participation of professional musicians and soloists. Don't miss it! Copyright © 2019 Larkhill Choral Society. Powered by WordPress. Theme: Spacious by ThemeGrill.